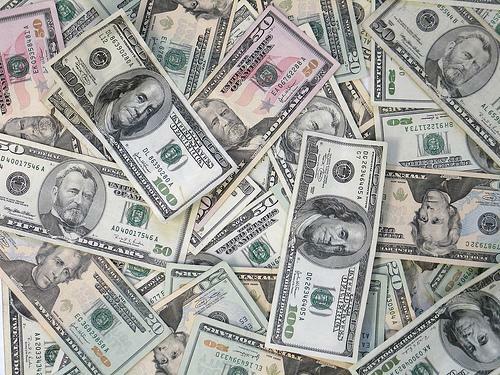 A report by the Brennan Center for Justice, the National Institute on Money in State Politics, and the Justice at State Campaign says the outside money being spent in state high court races amounts to a "hostile takeover of judicial elections." The authors of the report, the New Politics of Judicial Elections 2009-2010, wrote that $16.8 million was spent on television advertising for state high court elections in the 2009-10 election cycle — "making 2009-10 the costliest non-presidential election cycle for TV spending in judicial elections." According to the report, more television campaign ads for state high court elections ran in Michigan than in any other state during the 2010 election cycle. 10,781 ads ran in Michigan. That total accounts for 29 percent of the total state high court campaign ads to run across the country. And for total money spent on these campaigns, Michigan is at the top. Michigan, ranked sixth in candidate fundraising, surges to No. 1 when all sources of money, including independent TV ads, are considered. 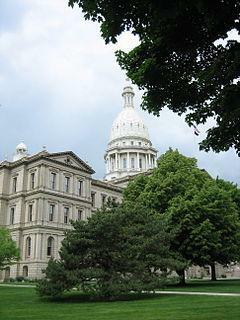 A new report says anonymous donors have a growing influence in Michigan election campaigns. The study by the Michigan Campaign Finance Network says independent groups that don’t have to reveal their donors spent $23 million on political ads last year. The report shows both Governor Rick Snyder and his Democratic opponent, Lansing Mayor Virg Bernero, were among the candidates for statewide office who were aided by ads paid for by unknown donors to independent political committees. The use of independent and untraceable ads is especially prevalent in state Supreme Court races, says Rich Robinson of the Michigan Campaign Finance Network. 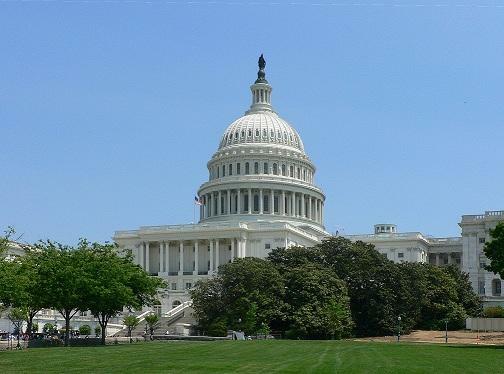 "Whether it's a workplace regulation, an environmental deregulation, a budget earmark, a public works project, a tax not levied, whatever it is, and I don’t think we’re seeing half the story on the money that’s moving public policy." Robinson says, in some cases, ads paid for by anonymous donors made up half the spending in a race, and that $70 million was spent on untraceable and independent election ads over the past decade. "In all of these campaigns, voters have an interest in knowing who the real supporters of the candidates are," said Robinson. "It’s a mechanism for controlling quid pro quo corruption in politics." The Michigan Campaign Finance Network is calling for a law to require independent groups that buy campaign or issue advocacy ads to identify their donors. The public spoke very clearly that they want things done differently here in Michigan, and so we’re ready to get to work to help strengthen our state and just make it a better place for the people who live here. Hildenbrand says lawmakers want to deal the state’s complicated business tax quickly. He says the Legislature needs to help create a better business climate in Michigan. Lawmakers will begin the new session with a new Republican Governor and a projected $1.8 billion dollar budget deficit for the fiscal year that begins October 1st. As we've been reporting, yesterday was the last day for candidates who ran in Michigan’s 2010 election to report how much money they raised during the campaign season. According to Republican Governor-elect Rick Snyder’s campaign finance reports, he spent almost $11 million during the campaign; $6 million of which was his own. Snyder’s opponent in the race for governor, Lansing Mayor Virg Bernero, raised a little under $2 million and qualified for a little more than $1 million in public funds. Just how much money did candidates raise for Election 2010? Candidates who ran in Michigan's 2010 election have until today to report just how much money they raised and spent during the 2010 campaign. 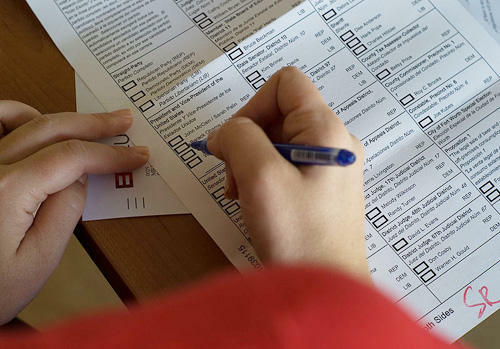 ...only one of the major statewide candidates had filed a post-election report. Secretary of State Ruth Johnson, a Republican who defeated Democrat Jocelyn Benson, filed her report a day early on Wednesday. The Detroit News expects reports will be filed today by Governor-elect Rick Snyder. 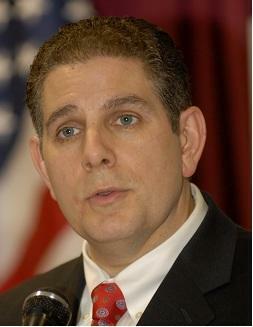 What's next for Virg Bernero? The Lansing State Journal takes a look today at what Lansing Mayor Virg Bernro has been up to since losing the Michigan gubernational election earlier this month to Republican Rick Snyder. Bernero wants to turn his attention to economic development... and preparations for 600 new jobs at General Motors Co.'s Lansing Grand River plant. There's also "a few other things we haven't even yet announced economic-wise," Bernero said. 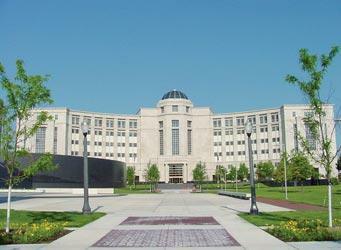 Lansing's cash-strapped budget also should keep him occupied, he said. "I am the mayor," Bernero said. "I'm excited about doing the job and I'm excited about where we are...You'll have to stay tuned." Last year, Bernero won a 2nd four-year term as Lansing mayor. When asked whether he would run for another political job, Bernero told the LSJ, it was, "hard to say," and that there's, "plenty of time to think about it." Michigan Democrats started 2010 with their main candidate for governor withdrawing from the race, donors feeling the pinch of the poor economy and the drag of Gov. Jennifer Granholm's unpopularity hanging around their necks. On November 2nd, Republicans won the Governor's office and the races for Attorney General and Secretary of State. The GOP also widened their majority in the state Senate and won control of the state House of Representatives from the Democrats. Hoffman notes that Democratic voters did not turn out to the polls like they did in the 2006 gubernatorial election. She sites data from political strategist Ed Sarpolus that shows 300,000 fewer Democrats voted compared to four years ago. This week's election brought a new sheen of red to the Great Lakes states: with the Republican party seizing control of governorships and state houses across the region. In many cases, it was the first time the Republican Party has taken control since 2003. So what does this political reinvention mean for the region? The economy was a familiar theme on election night. It was invoked to cheering crowds by each of the incoming governors of Ohio, Michigan and Wisconsin. Republican Dan Benishek won the race to succeed veteran Democrat Bart Stupak in Michigan’s 1st District which covers all of the Upper Peninsula and parts of the northern Lower Peninsula. Stupak announced in April that he would not seek a 10th term in Washington. Benishek was a Tea-Party favorite and was endorsed by former Alaska governor Sarah Palin. The political landscape has changed for President Obama. 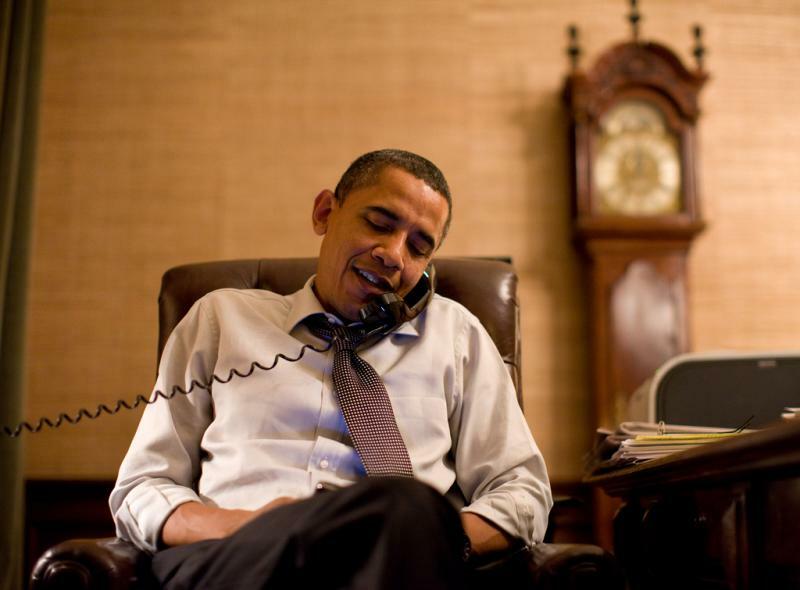 As returns came in and races were called for republicans across the country, Obama made calls to the man who is likely to replace Nancy Pelosi as Speaker of the House, John Boehner. He also made a call to the current republican leader in the Senate, Mitch McConnell. 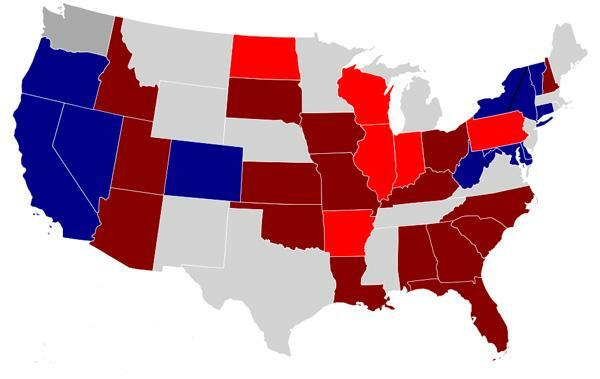 As of this post, it looks as though Democrats will retain control of the Senate. 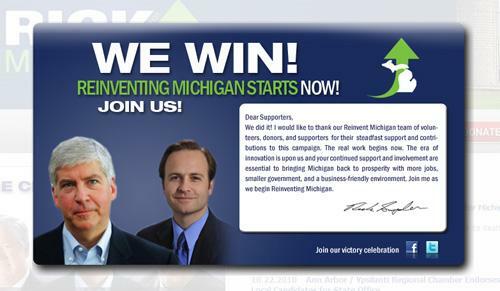 Rick Snyder's web page "We Win!" "We did it! Thank you so much to everyone who worked so hard to get Rick elected! Tomorrow the hard work to Reinvent Michigan begins. But tonight let's celebrate!" At just past midnight, only about half the votes are in in the 9th district Congressional race. 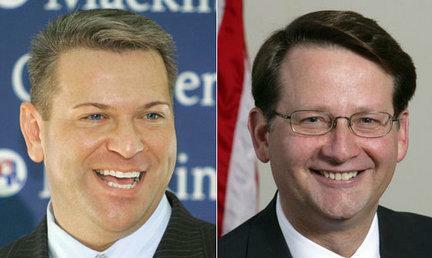 It's a down-to-the wire battle between Democratic incumbent Gary Peters, and Rocky Raczkowski, a Republican with strong Tea Party ties. Peters holds a slight edge, but it's still too close to call. 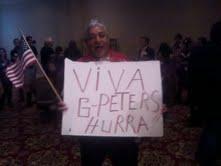 Peters just rallied a flagging crowd here at this Troy headquarters. He struck an optimistic tone even as he acknowledged the race remains tight. Update 10:09pm: Virg Bernero has conceded defeat. He's giving a speech now. Update 9:30: Detroit Mayor Dave Bing says crowd needs to show Virg Bernero the "love and respect" he deserves when he comes down to make his speech. The race for Oakland County's 9th Congressional district is one of the most closely-watched in the region, if not the nation. Freshman Gary Peters is trying to fend off Republican Andrew "Rocky" Raczkowski and hang on to this historically-Republican district for the Democrats. The race is too close to call, and everyone expects it to go late into the night. 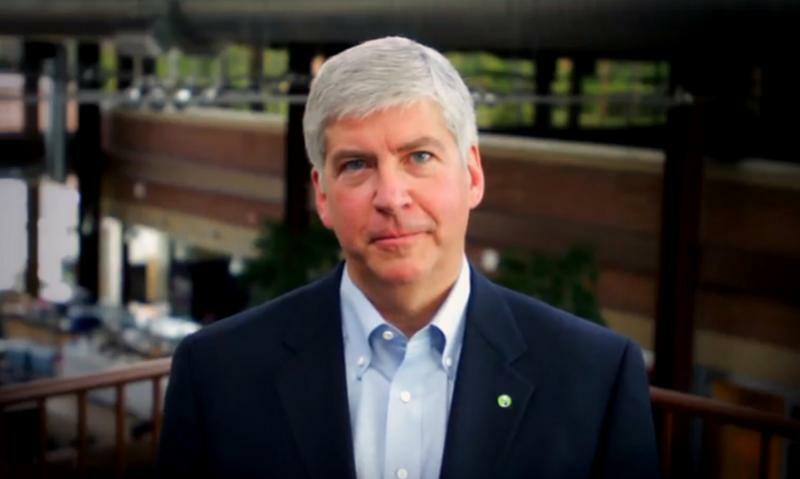 Republican candidate for Governor Rick Snyder will campaign today at an Oakland County rally. Mississippi Governor Haley Barbour and New Jersey Governor Chris Christie are expected to attend. The Oakland Country Press reports other statewide Republican candidates including Attorney General candidate Bill Schuette, Secretary of State Candidate Ruth Johnson and Lt.
With four days to go before Election Day, a new EPIC-MRA poll shows continued support for Republican gubernatorial candidate Rick Snyder over his opponent Democrat Virg Bernero. The poll shows 55% of those surveyed support Snyder to Bernero's 37%. 4% were undecided. Last night I presided over a fascinating meeting in Grand Rapids, the second in Michigan Radio’s “Issues and Ale” series designed to stimulate public discussion. The main event was a look at this year’s campaign advertising by two members of the “Michigan Truth Squad,” John Bebow, director of the non-partisan Center for Michigan, and Susan Demas, perhaps the best columnist in Lansing. Should Robert Jones have been running for the state Senate? State Representative Robert Jones was an enormously popular former mayor of Kalamazoo who was in an intense battle to win a seat in the state senate. Intense, but not nasty. But two days ago, Robert Jones suddenly died in his home, throwing the race into chaos and elections officials into a tizzy.